Because they work. The old adage is, you get what you pay for. There are many transmitter manufactures. There are plenty of transmitters out there that are less expensive. Those less expensive transmitters sound fine on the air, their AC/RF efficiencies are great, they look snazzy in the sales brochure. I am sure the RF sales guy can spout out ten reasons why they are this or they are that. Their parts count is intentionally kept low, so gone are the redundant power supplies, fans, RF amps and controller cards. Gone are the extra heavy output capacitors, combiners, LC connectors on the RF stages. Gone is the heavy grounding buss, the shielded covers on the controller, etc. To avoid all that, behold: The Nautel V40 FM transmitter. 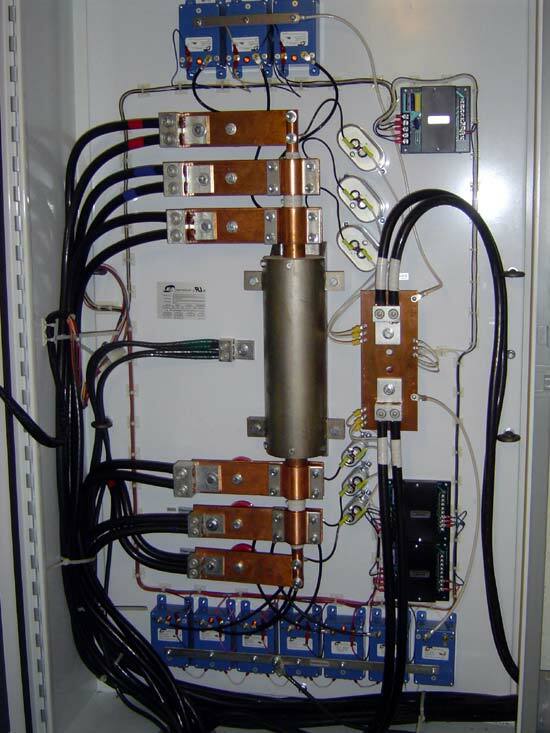 This is four V-10 transmitters into a magic T combiner. The V-10 already has good redundancies. Four of these things ganged together should be nearly bullet proof (and over the last three years, it has been). This site has been fraught with power problems because it is at the end of a very long utility company feeder line. We also installed a LEA series surge suppressor. We like the LEA unit, it has saved our bacon many times over. 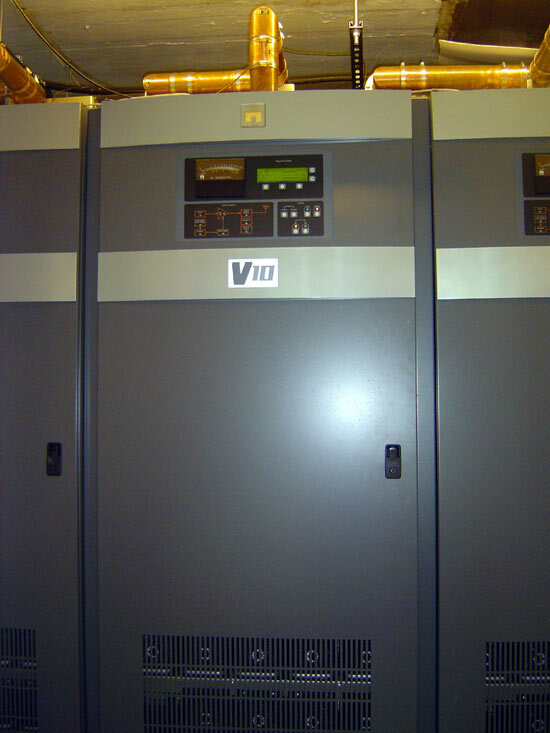 These transmitters normally run at about 7 KW each. I can turn any one transmitter completely off and the others will automatically adjust their output powers keeping the station at full power. That means daytime maintenance! We like not having to drive to the transmitter site at night to vacuum. It is really cool.